Former barista Brenna Smith dreams of opening a bistro where she can bake her specialty pastries and serve delicious coffee. Envisioning a rich, aromatic life full of savory moments, she instead lives at home with her parents, making a long commute each day to work for a boss who doesn’t know beans about his job. 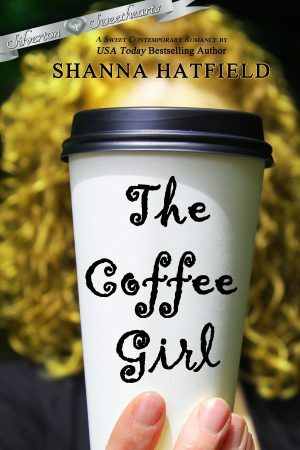 If it wasn’t for the hunky guy she sees each morning at the coffee shop, her bland existence would be unbearable. Charming, smart, and good-looking, Brock McCrae is a man comfortable in his own skin. Owner of a successful construction company, he decides to move to the small town where his business is located and immerse himself in the community. Brock doesn’t count on his new client being the cute and quirky woman he knows only as the Coffee Girl from his daily stop for coffee. Although he really wanted to pretend he hadn’t noticed there was a problem, he knew it would bother him all night if he didn’t stop. Brock took the exit, crossed over the freeway and came down the on ramp heading south. Illuminated by the last of the overhead lights highlighting the merging lane of traffic, Brock could see the back tire on the passenger side was toast. Parking behind the car, he shut off his truck and picked up a flashlight from his back seat. Stepping out into the rain, Brock pulled his collar up around his ears and tried to ignore the chilly temperature. Walking up to the driver’s side window, he tapped on the glass, startling the woman inside. Finally, she rolled down the window just enough to hear him speak. “Hey, I noticed you’ve got a flat. If you have a spare, I’d be happy to change it for you,” Brock said, trying to sound cheerful as cold rain trickled down his neck and soaked into his shirt. “Oh, that’s okay. I’ll call and have someone come,” she said, trying to mop away the remnants of tear tracks down her cheeks. When she pulled her hand away, Brock sucked in a gulp of air. Brenna’s head snapped up and she focused her gaze on the man standing outside her car. It was the cute guy from the coffee shop. She knew that her day could not possibly get any worse. Crying out her frustrations before calling her dad to come rescue her, she heard a tap on the glass near her head. Hoping it wasn’t a serial killer, she lowered the window just enough to hear what the man was saying without actually looking his direction. Now that she realized who he was, the guy had her full attention. “Hi,” Brenna said, wishing she hadn’t spent the last five minutes crying, or the last ten hours running her hands into her hair, or the last several years avoiding an exercise routine.